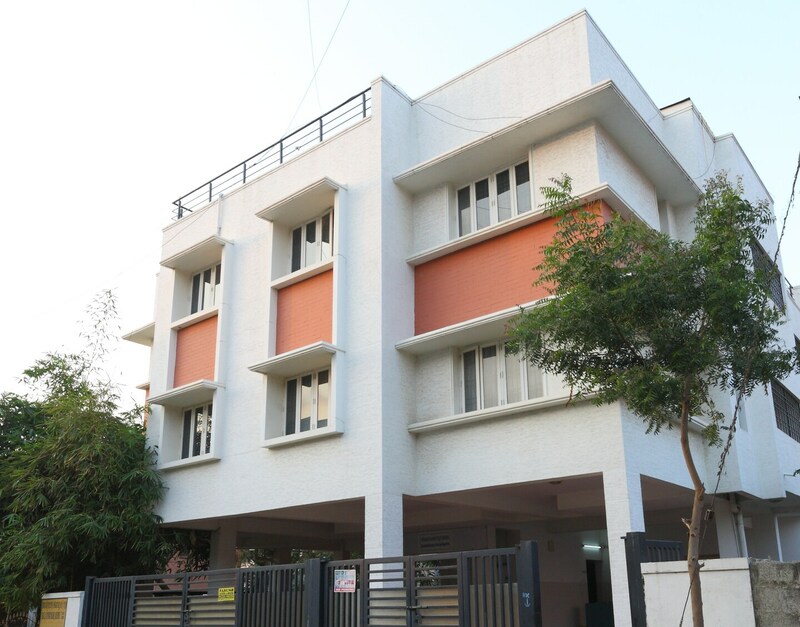 SilverKey Executive Stays 20013 OMR is located in Thuraipakkam, Chennai. It is ideal for those travelers who are looking for comfortable accommodation facilities available at reasonable prices. The rooms are very spacious and large windows have been provided in each room. These windows allow a large amount of sunlight and a lot of fresh air into the room. The interior decor is of the minimalist nature and the walls have been painted in monochromatic hues. Paintings have been used throughout the room to enhance the decor of the room. The additional facilities provided by the hotel are free Wi-Fi, a constant power backup source, a common lounging area, card payment facilities in all forms, laundry provisions, CCTV cameras, and an elevator facility. The front desk service is located close to the entrance and is managed by experienced staff. The hotel is located close to a number of restaurants such as the Hot Sandwich, Night Eat, and Sweet Sin Delicacies.